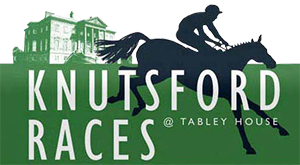 9 Days to go until Knutsford Races 2018! 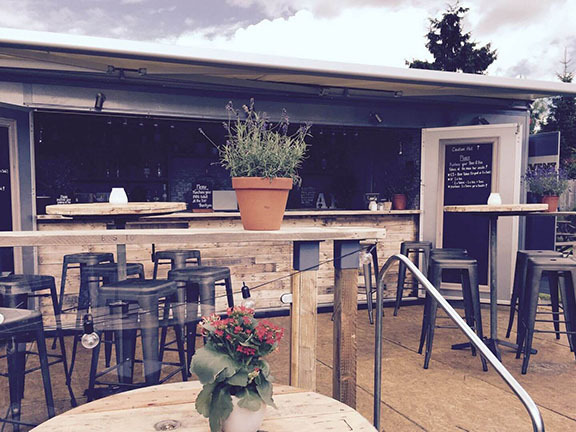 Make sure you visit the amazing Event Hut Co stand for your coffee (including Irish Coffee!) and soft drinks. Visit our 2017 Trade Stands! While at the Races this Sunday 14th May, be sure to visit our fantastic Trade Stands! There are a fantastic selection of craft and trade stands at Knutsford Races this Sunday, with something for everyone! See our trade stands page for further details. Standard car passes (from £10 per person) and Premier car passes (at £45 per car including all occupants) will be available to buy on the gate from 11AM on Sunday. The Premier car pass is close to the racetrack and all facilities and offers fantastic value for money. The race card at £3.00 lists the runners in all of the races and includes a form guide, which helps in horse selection should you want to place a bet. Local ales and drinks of all kinds, foodstuffs and specialist stalls are plentiful. Racegoers are at liberty to bring their own drink and picnic should they prefer. Dogs are permitted but they must be kept on a lead at all times once the racing has started. 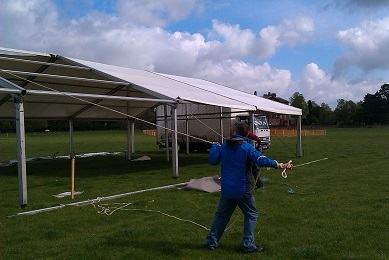 Preparation is well underway for the event this Sunday (19th May)! 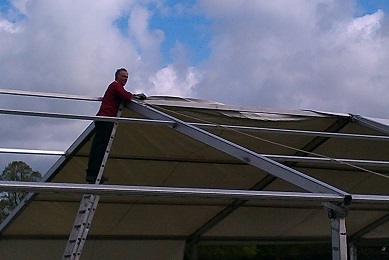 These pictures show the marquees being erected. We hope to see you there! The racing starts at 1pm with two flat races for the up and coming sport of pony racing for children under 16 years. The first of the seven steeplechase races is at 2pm. View our tickets page or take a look at the scheduled races for more information. Sunday 19th May 2013 is the date for your diary. Exciting information to follow shortly! Shop ’til you drop at Knutsford Races! 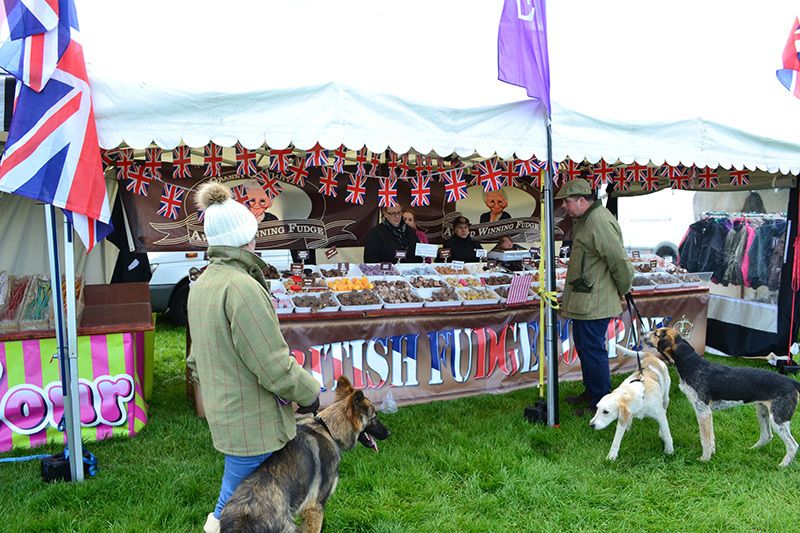 More than 30 food, funfair and specialist trade stands will be offering their wares on Sunday. Plenty to do, even if you’re not interested in horses! !